Introducing Harvey Thomas Glover. Harvey came into this world 3:42 pm on Sunday 19.03.17. Things went extremely well with first stage quickly completed in the bath in such a calm environment. A quick check from my midwife due to a change in the location of pressure being felt unfortunately identified that Harvey had made a complete turn from anterior to posterior and I needed to exit the bath and cease breathing him down. 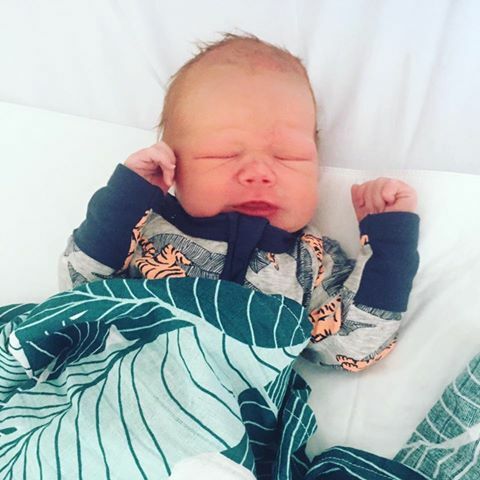 After every effort to change his position and being granted 3 hours for my 2nd stage at my request as all was well with baby, Harvey's heart rate rapidly dropped and we needed to get him out as soon as possible to prevent a caesarean. Harvey was safely assisted into this world via vacuum. Carrie and hypnobirthing meant that I was calm and confident in my decisions and the breathing techniques got me through without the need for any analgesia. Hypnobirthing also prepared my husband so well. He clarified every decision and remained calm and supportive despite things not going to plan.